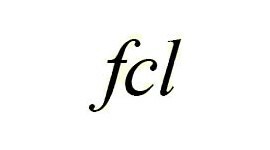 FCL is a foundation established in 1994 with the aim of promoting liberalism and acting in the fields of democracy, civil liberties and human rights, social and economic policies. With those aims, the foundation organises and sponsors conferences, workshops and seminars as well as research studies and publications. The foundation runs the monthly review “Critica Liberale” (being published since1969 and pre-existing the foundation) and its supplement “Gli Stati Unitid’Europa”. The foundation sponsors and supports institutions and activities with parallel aims, such as Consulta Laica of Rome and Coordinamento Nazionale delle Consulte Laicheof Italy. In 2007 the foundation and CGIL trade union “Ufficio Nuovi Diritti” have founded the Observatory on Secularization. The Observatory publishes anannual Report on the state of Secularization in Italy and organises a series of meetings called “Conversazioni laiche”. Critica Liberale is also a founding member of the European Liberal Forum. FCL joins in the Coordination of Italian Cultural Reviews (CRIC).